Varanasi : Security has been beefed up to utmost level available within the country’s administrative limit as Prime Minister Narendra Modi is visiting his constituency on the soil of river Ganges, the city of Varanasi. An unprecedented security arrangement has been put in place for PM’s scheduled visit to his parliamentary electoral base-camp today. The core official group responsible for handling security arrangements informed media and updated about the enormous security cordoning-off that has been put on ground for PM’s visit. They revealed that PM Modi would be under a five-tier security, owing to the ‘threat perception’, mainly in the wake of an aftermath of Pathankot terror attack. The Security Lords of the Rings, namely – SPG, NSG and ATS would all take their positions and be on high-alert all though the tour. Special Protection Group (SPG) would be in close proximity to the Prime Minister. The second ring would be of the National Security Guard ( NSG) commandos. The next circle would lay safe in the hands of commandos of the Anti-Terror Squad ( ATS). The fourth ring would be maneuvered by Central Police Force. The fifth and the outer most ring would be given in the hands of State Police and local police personnel. A district police official informed media agency that all areas where the PM’s cavalcade would be moving have been sanitized and would be thrown out of bounds for people of the city, for as long as above four hours in advance. Additionally, hundreds of policemen and security personnel have been deployed at the Lal Bahadur Shastri airport and Dereka, where Modi, after his arrival, would be spending over two hours. 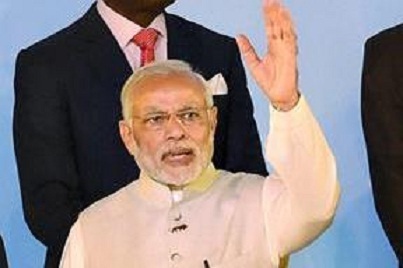 Agenda of PM Modi’s visit includes — attending the Divyangjan Sashaktikaran Samaroh – a program for distribution of aids and assistive devices, for differently-abled people; and — PM’s address at the 6th convocation of the Babasaheb Bhimrao Ambedkar University in Lucknow.